On April 25 we received the waka tete, named ‘Whakaruru Te Hau’ by its creator Hekenukumai Busby. The waka was launched immediately, crewed by Te Kāpehu Whetū akonga and pouako, to the glorious singing of our Paenuku babies and our Paerangi rangatahi. 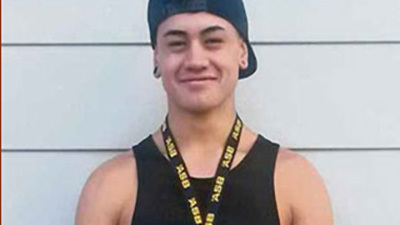 Dargaville’s Nico Te Whata, has placed first in his division in the Northland Secondary School Sports Association fitness competition. The Te Kapehu Whetu school student’s mother says his “hard work and full time training schedule” has paid off, by coming first out of eight 15 and 16-year-olds in the junior varsity men’s division. There were about 45 competitors in the whole event. The 15-year-old came second in the same competition last year and his trainer Ness Lawgun of Far North CrossFit says he is always keen to increase his strength and capabilities. It was whilst boarding in Whangarei that Nico first attended CrossFit classes. Nico trains six days a week, with two of those days dedicated to weightlifting. His mother Moana says his trainers see more of him than she does. Te Kāpehu Whetū Principal Dr Nathan Mathews says it’s a ceremony very similar to a military parade where cadets are presented to their whānau and are officially given the academy-pin to wear. A haka was performed for those who passed away on the battlefield, and those who fought for the Māori Battalion. It’s a celebration of these young men’s efforts, with the hope they will hold leadership roles in days to come. “The ceremony is an introduction for new members into the Company A Academy, so the academy has been around for six years now but this year is the first time it will be in conjunction with Te Kāpehu Whetū,” says Mathew. There are 110 students in this charter school and some hope they’ll be in the same shoes as their seniors soon. Te Ohomauri Henare has entered the academy for the first time, and today wears the medals of his great grandfather Sir James Henare. It’s a very proud moment for the family. Tomorrow Te Kāpehu Whetū will be spending their Anzac Day launching their new waka tētē, a traditional waka Dr Mathews says will help towards understanding Māori traditions and celestial navigation. Te Taitokerau Tārai Waka have sold their traditional-waka at the price of $100,000. 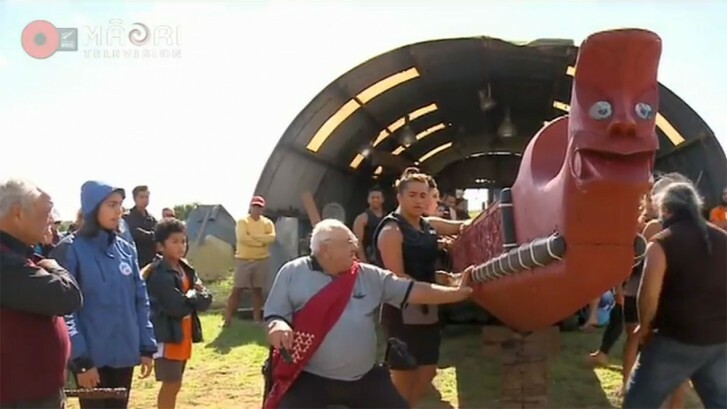 The traditional waka known as a waka-tēte built by tohunga-tārai waka Hekenukumai Busby was auctioned to raise funds for the school of traditional navigation at Aurere in Doubtless Bay. Whangarei charter school Te Kāpehu Whetū Principal Dr Nathan Mathews says the waka was bought by its sponsor He Puna Mārama Trust and will be used as part of the school’s hauora programme. “It’ll help towards traditional navigation and mātauranga Māori” says Dr Mathews. 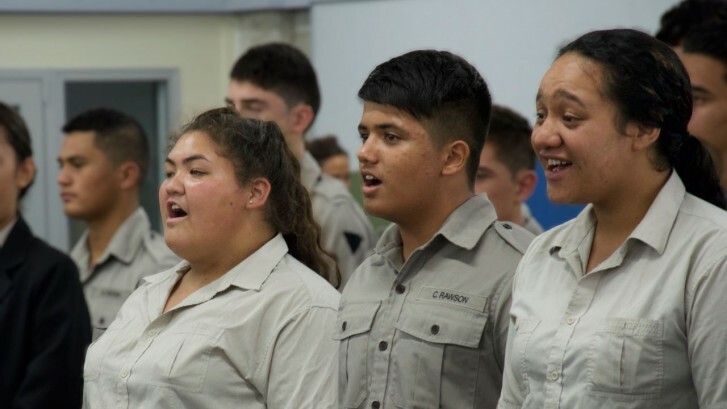 The official hand-over of the waka-tēte will take place tomorrow on Anzac day, but before that happens the school which houses more than 110 students will be having its badging of new cadets into its Leadership Academy of A Company. Dr Mathews says it’s a ceremony very similar to a military parade where cadets are presented to their whānau and are officially given the academy-tohu to wear. “As part of the badging parade, current cadets are eligible for promotion within military type ranks,” says Dr Mathews. The badging ceremony will take place this afternoon at the Te Kāpehu Whetū campus in Whangarei and the official launch of their new waka-tēte will take place tomorrow in Aurere, Doubtless Bay. Senior Reporter Heeni Brown will have more on Te Kāea 5:30pm. 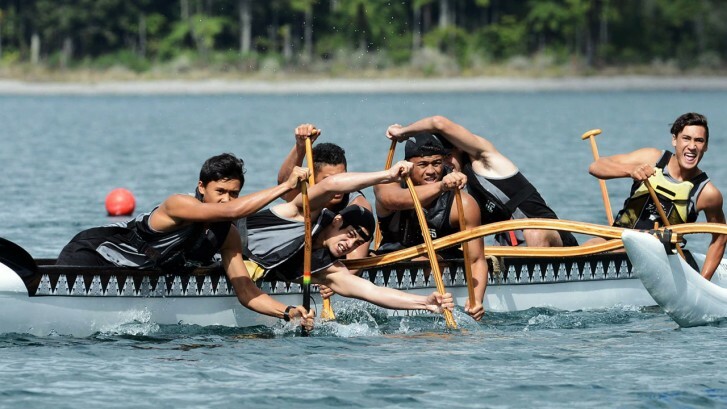 Rotorua’s Blue Lake transformed into a sea of colour and noise last week as New Zealand’s top secondary school waka ama paddlers battled it out for national honours. More than 1450 paddlers took to the water, including Northland’s Kerikeri High School, Taipa Area School, Te Kura Hourua o Whangarei Terenga Paraoa, Te Kura Kaupapa Maori o te Tonga O Hokianga, Whangarei Girls’ High School and Whangarei Boys’ High School. St Patricks College Silverstream smashed the under-19 250m Boys W6 Championship final, winning with a record time of 53.09, and securing their first medal at the event with a flawless performance on the water. Gisborne schools also proved they were a force to be reckoned with. Lytton High School took gold in the 250m and 500m of the U16 girl’s W6 competition and Gisborne Girls’ High School achieved the same in the U19 division. Gisborne Boys’ High School also took home the U16 500m W6 title. Lara Collins, chief executive of Waka Ama New Zealand, described this year’s racing as some of the most thrilling she’d seen in the regatta’s 14-year history. “We had some incredibly tight racing – a true display of grit and determination. The weather was fabulous and provided perfect racing conditions. “The noise from the crowd watching the finals was simply electric and made for an extremely exciting end to the week’s racing. A full list of results can be found at http://wakaama.co.nz/stories/read/1003927. This weekend will mark the return of the waka ama long-distance nationals to Northland. The event will be based out of Marsden Cove Marina and is set to run on April 4-5. Photo: Te Kapehu Whetu of Te Kura Hourua o Whangarei Terenga Paraoa compete in their under-19 Boys’ W6 250m heat. Whangarei’s first charter school has chosen the name of the star compass that Maori sailors used to navigate the seas to represent their school. The kura hourua has been named Te Kapehu Whetu. Pouwhakahaere, or principal, Nathan Matthews said the students are settling in to their new school. “They all seem to be enjoying it. It is challenging for some who have been in mainstream school for three years and this is a bit different,” Mr Matthews said. The large open-plan learning area can at times have four different lessons going on at once. Yesterday, senior students were in the “lounge” area in the classroom on beanbags and couches for their English class. The teacher stands in front of them with a white board and a smart board while the students brainstorm elements of a story. 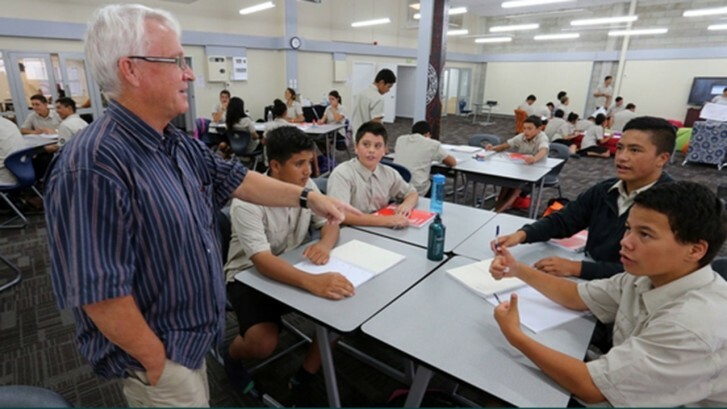 Junior students sit in small clusters going over different maths problems while maths teacher Chris McKay, who has 36 years’ experience teaching students in Northland, keeps them focused on the task at hand. Meanwhile, one student is having some one-on-one tutoring with a teacher going over a lesson at a slower pace in a breakout room off the main learning centre. “It’s been a good start. There has been a big build up to this and a lot of pressures on us. But it’s paying off when you see the kids,” Mr Matthews said. He said the parents of students were courageous to trust the new type of school to provide the best education for their kids. Contracts with NorthTec and Te Wananga o Aotearoa will allow students to leave the kura to attend the tertiary providers for specialist subjects after no Whangarei schools would do so. Eight senior students will take lessons in carpentry, pre-trade engineering, and sport and recreational studies at NorthTec for two days each week. 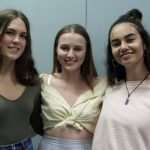 All the junior students will go to Te Wananga o Aotearoa for half a day each week for art lessons and four senior students will do the same for one day each week. A Northland charter school which was one of the first in the country appears to have passed its first test with flying colours. The Education Review Office (ERO) report for Te Kura Hourua O Whangarei Terenga Paraoa, released last week, found many areas of the school were doing well and identified just a couple of areas for improvement. The kura, sponsored by He Puna Marama Charitable Trust, is a co-ed secondary school based in Whangarei that emphasises Maori education. After initially opening its doors to 50 students on February 27 this year that number grew to 53 students with many more on the waiting list for next year. The ERO found the kura was committed to providing new and better opportunities for young Maori to succeed. “School culture is focused on empowering students to develop an approach to learning and knowledge that will allow them to achieve any goal that they set themselves both during their time [at] school and for the rest of their lives,” the report stated. It was one of five charter schools that opened this year, including another in Northland – Te Kura Hourua ki Whangaruru. The two Northland charter schools are not connected. Charter schools are funded by the Government but set their own curriculum, school hours, holidays and pay rates. They were strongly opposed by opposition political parties and teaching unions, but were implemented as part of the National party’s confidence and supply agreement with Act. The report described the kura’s governance and leadership systems as “robust” and while there were areas for development, ERO said it was confident the kura would be able to address these. The two main areas for development were the baseline assessments of junior students and more articulated planning of school curriculum to reflect the needs of students. The kura’s sponsor trust was permitted to open a second charter school, Te Kapehu Whetu (Teina), in Whangarei next year. A charter school in Whangarei that is at full capacity appears to be going from strength to strength following an announcement that it would also open a primary school next year. Te Kura Hourua O Whangarei Terenga Paraoa, located on Lower Dent street, opened its doors on February 23 to 50 students. It has since grown to 53, with a waiting list for next year. The kura, sponsored by He Puna Marama Charitable Trust, is a co-ed secondary school that emphasises Maori education. It was one of five charter schools, or “partnership” schools, that opened this year, including another in Northland – Te Kura Hourua ki Whangaruru. The two Northland charter schools that opened this year are not connected. Last week Minister of Education, Hekia Parata, announced four new charter schools would open in 2015. It included a third for Northland, Te Kapehu Whetu (Teina) in Whangarei, which was also sponsored by He Puna Marama Charitable Trust. The new kura will be a co-ed primary school for years 1-6 located at Jubilee Park, where the trust already has an early childhood facility. Te Kura Hourua O Whangarei Terenga Paraoa principal, Nathan Matthews, said the kura has had positive feedback since it opened this year, which is reflected in its growth. Te reo Maori and Maori performing arts are both compulsory at the kura and there is an emphasis on blending Maori learning into other parts of the curriculum, he said. The school reached full capacity earlier this year and has a waiting list for next year. 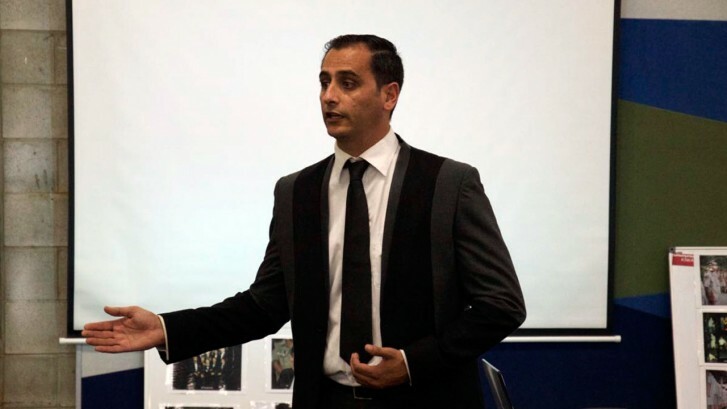 Mr Matthews, who has a PhD in Maori education, will initially be principal of both schools. He has been particularly interested in Maori education because of the low achieving statistics with Maori students. “Thinking about better ways of doing things for Maori kids is something I’ve been researching and writing about for a number of years,” he said. Charter schools are funded by the Government but set their own curriculum, school hours, holidays and pay rates. They were part of the Act Party’s confidence and supply agreement with the National Party. The system has been criticised by many political parties and teachers’ associations. 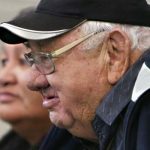 However, Mr Matthews said the kura gave Maori families another option to mainstream schooling. A charter school is seen as a model of high achievement for families in Whangarei. After opening its doors as a secondary school only seventh months ago, Te Kāpehu Whetū has now received government support to create a primary school under its umbrella. They’re a charter school with a focus on immersing their students in the teachings of Ngāpuhi and now they have the support of Government to build a primary school. 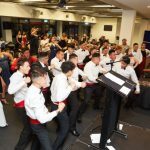 With only days until the national election, the voice of the anti-charter school brigade are to the fore again but the principal says the charter school policy has given them the opportunity to create their own educational pathway. Called Te Kāpehu Whetū, this school was born from the Academy of A Company of the 28th Māori Battalion. Now they look ahead to opening a charter school for primary students with a directive from the minister that they must produce. Northland is set to have a third charter school after an announcement by the Minster of Education that four new charter schools, or “partnership” schools, would open around the country next year. Te Kapehu Whetu (Teina), sponsored by He Puna Marama Charitable Trust, will be a co-educational primary school in Whangarei. Nationally five charter schools opened in February this year, three in Auckland and two in Northland. The trust sponsoring the newest school already sponsors one of the Northland charter schools, Te Kura Hourua O Whangarei Terenga Paraoa, a Maori boys’ secondary school in Whangarei. The second Northland charter school to open this year was Te Kura Hourua ki Whangaruru secondary school.